Under the watchful eye of a Kitchener, Ont., store owner, a teenager browses the record collection. Shortly, she will slip one into her bag, and the owner will catch her in the act of shoplifting. 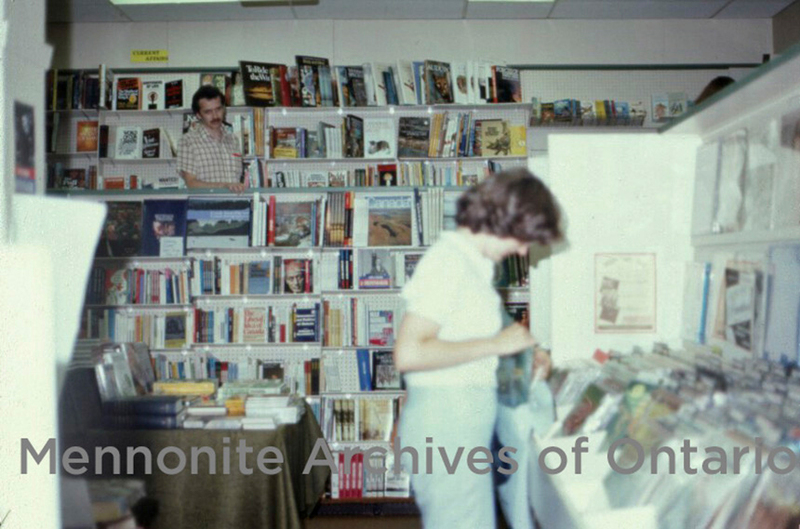 This photo of a simulated crime is part of a slide show produced by the Access Project, a program of community education sponsored by Mennonite Central Committee (MCC) Ontario’s innovative new Victim-Offender Reconciliation Project in the late 1970s. The project explored alternatives to the criminal justice system by promoting reconciliation between victims and offenders. What can today’s “social innovators” learn from these past experiments?